This was another busy week for cannabis stocks, with Canadian grower Canopy Growth listing on the NYSE, Khiron Life Sciences on the TSX Venture Exchange, investments surpassing $3 billion, and the New York Democratic Party saying it's overtly endorsing marijuana legalization. 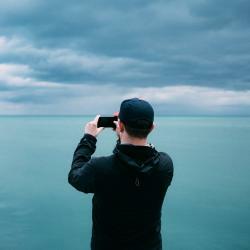 “The industry has seen increased investment opportunity. Over the past couple of months we’ve witnessed a rush of institutional and private capital, signaling a new level of growth for the industry,” Cynthia Salarizadeh, managing partner of KCSA Strategic Communications and CEO of AxisWire.com, told Benzinga. Despite the good news, the United States Marijuana Index, which tracks 17 of the largest marijuana stocks in the U.S., was down 2.1 percent, while the North American Marijuana Index, which also includes Canadian stocks, posted losses of 3.5 percent. The Horizons Marijuana Life Sciences Index ETF (OTC: HMLSF) tumbled 1.7 percent over the five days of the week, while the ETFMG Alternative Harvest ETF (NYSE: MJ) lost 1.8 percent. The SPDR S&P 500 ETF Trust (NYSE: SPY) gained 0.3 percent. 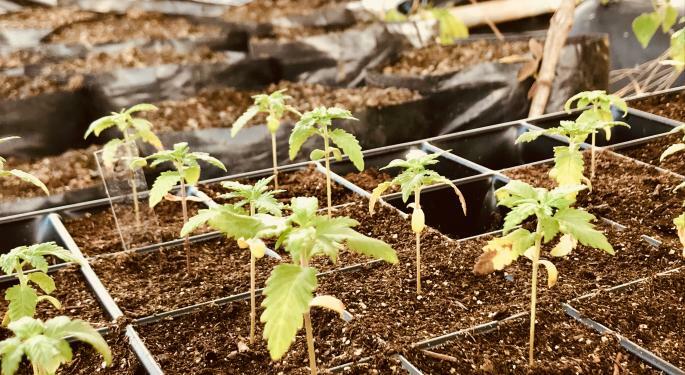 After completing a C$155 million IPO earlier this month, Green Organic Dutchman Holdings Ltd (OTC: TGODF) announced a global technology licensing partnership with Denver-based CBx Enterprises. CBx Enterprises produces numerous consumer cannabis brands in Colorado, including CBx Sciences, focused on the development of rare cannabinoid formulations for therapeutic purposes, and Evolab, the best selling vape line in the state – according to Headset data. This deal is truly a win-win. It positions CBx brands for immediate global expansion, and provides TGOD with advanced extraction and product development technologies that will be critical as Canadian and global cannabis regulations continue to evolve and new product opportunities rapidly arise,” Nicole Smith, CEO of CBx Enterprises, told Benzinga. Khiron Life Sciences Corp. (TSXV:KHRN), a Canadian cannabis company operating in Colombia, started trading on the TSX Venture Exchange under the symbol “KHRN." 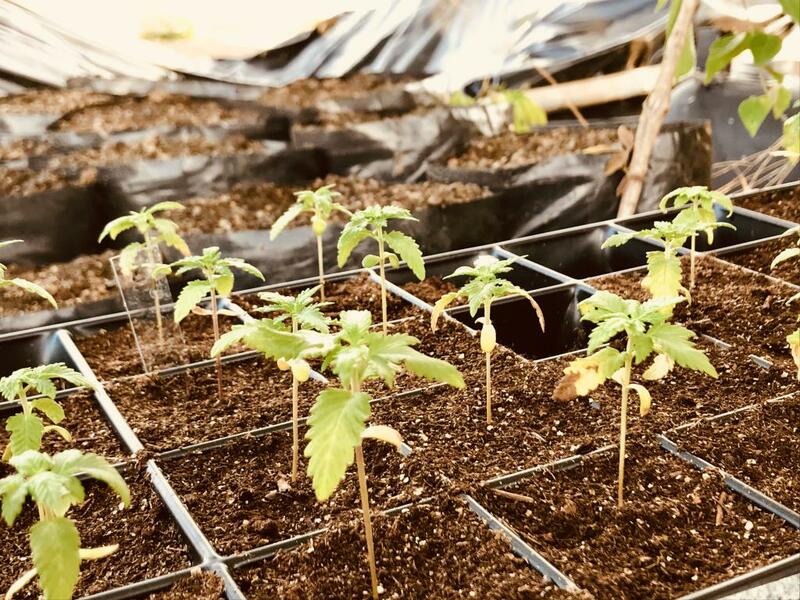 “Colombia is widely expected to become the largest producer and exporter of medical-grade cannabis and cannabis products in the western hemisphere, and yet there are very few competitive market participants in place,” CEO Alvaro Torres told Benzinga. “We understand and embrace the entire ‘plant to patient’ spectrum of the medical cannabis sector - from regulation and compliance to cultivation and growth to marketing and sales to medical community engagement and patient education and care." Goldleaf announced it's teaming up with Lightshade in Colorado to create four custom art prints to benefit Project Sanctuary, a non-profit dedicated to re-acclimating veterans to family life and to our communities. 100 percent of the profits go to Project Sanctuary. A print from this special collection makes a lovely gift for a great cause. The No. 1 cannabis learning platform in the U.S., Green-Flower.com, is now free. The site went live with a brand new streaming video platform and new library of original content designed to help people understand everything about cannabis today. “People around the globe are very interested in understanding the benefits of cannabis. Unfortunately, very few have enough trustworthy information about how it actually works for different ailments and conditions. Green Flower gives people unlimited access to renowned cannabis experts, doctors, scientists, and researchers delivered via video so you can watch anywhere in the world, right from the comfort of your home,” said Max Simon, CEO of Green Flower. MJ Arsenal announced a collaboration with the artists at Empire Glassworks to create a limited edition glow-in-the-dark, UV reactive Martian Spaceship joint and blunt bubbler. Only 200 exist and the two last pieces will be auctioned to support Colorado’s homeless. MJA is guaranteeing a minimum $500 donation to the Colorado Coalition for the Homeless’ Street Outreach Program. “We could not be more excited to partner with the ever-talented team at Empire Glass. Combining MJA's joint/blunt bubbler technology with their unparalleled craftsmanship is a match made in canna-heaven. In addition, being able to shed light and help support our Colorado community is very much an honor and privilege for us to be in this position,” MJA co-founder Josh Camitta told Benzinga. Medical Marijuana Inc (OTC: MJNA) announced Q1 2018 as its largest sales revenue quarter in company history with a year-over-year gross revenue increase of 191 percent. Revenue exceeded $10.5 million. The company also announced its subsidiary Kannaway has partnered with Christian Okoye, former all-time rushing leader for the Kansas City Chiefs, to speak out on why the NFL should consider allowing its players to take cannabidiol (CBD). He’s stopped taking all pain medications and is now only taking CBD. Digamma introduced its DiscOmic visualization system for complex phytochemical profiles. Based on eight years of method development and data acquisition in the cannabis industry, the DiscOmic system is a novel means for summarizing mixtures containing multiple active components. The system provides a quantitative, easy-to-interpret way to categorize and identify cannabis products without reliance on strain names or genetics. The final output is a straightforward visualization of chemical profile. Strains can be grouped and related by profile similarity, allowing one to make educated choices based not on strain name but final terpenoid content. The DiscOmic System employs deep learning algorithms to group terpenes that tend to occur together in the plant, and a system to visualize the output as a series of concentric rings, labeling by smell, taste and medical value of the sample it represents. 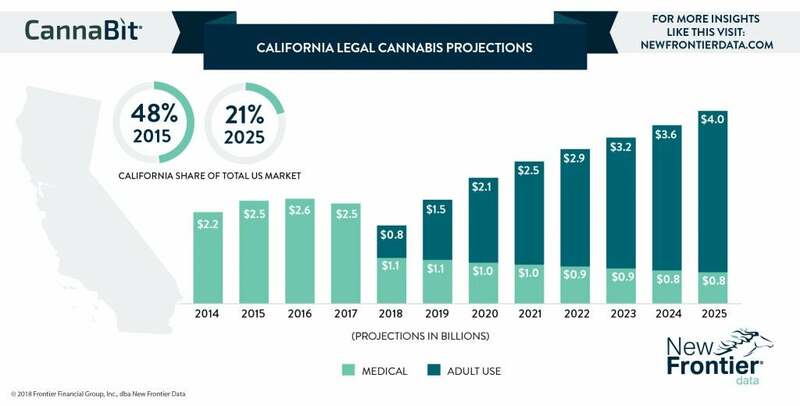 New Frontier Data adjusted its projections for California cannabis sales. It now expects sales of $1.12 billion in medical cannabis and $805 million in adult use, for total cannabis sales of $1.92 billion in 2018. By 2025 the firm projects $4.72 billion in sales, made up of $760 million in medical and adult-use sales of $3.96 billion. 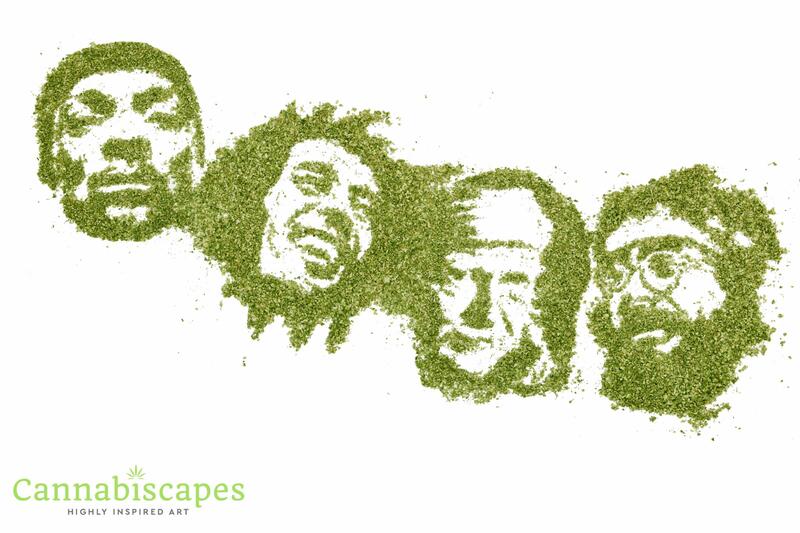 And, here’s a little something fun for the weekend: cannabis art by Ty Fortoat Cannabiscapes. The artist uses ground cannabis flowers to make portraits that have been sold all around the world and even used for album covers. See “Mt. Kushmore” below: the picture features Snoop Dogg, Bob Marley, Willie Nelson, and Tommy Chong. May 29: Medical cannabis brand Tikun Olam is hosting an exclusive media meet and greet with Dr. Timna Naftali, Specialist in Gastroenterology at Meir Hospital and Kupat Holim Clinic (Israel) at its downtown New York City offices. “Dr. Naftali is one of the leading cannabis researchers in the world. Her work in Crohn’s and Colitis will change the landscape in the treatment of these diseases,” said TO Pharma CEO Sid Taubenfeld. May 30–31: Former Mexican President Vicente Fox's cannabis event, CannaMexico. This world summit will take place in Guanajuato, Mexico. Speakers include Mr. Fox, activist Cheryl Shuman and many others. See details here. June 13: B2B cannabis provider Grassposts will host a special event to celebrate six months of adult cannabis sales in California. Lori Ajax, Chief of the California Bureau of Cannabis Control, and Cat Packer, Executive Director of LA Department of Cannabis Regulations, and Grasspost CEO Johnny Sayegh will host a panel titled California: A Fireside Chat. “I am beyond thrilled to be sharing a stage with Chief Ajax and Executive Director Packer for this truly unprecedented event,” Sayegh said. “For the first time, industry members will be able to engage with two of the most powerful individuals in cannabis and gain valuable insight into how the cannabis industry will continue to evolve.” Find tickets here. August 17–18: Benzinga is hosting its first Cannabis Capital Conference in Toronto, Canada. Speakers include 420 Investor Alan Brochstein, MedMen’s CEO Brett Roper and Lewis Goldberg of KCSA. Read all about it here.